The SABC has been asked to suspend its search for a chief operating officer, the communication ministry said on Monday. 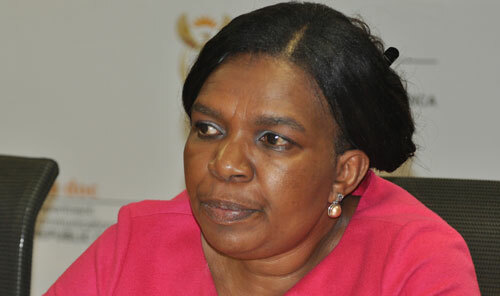 Communications minister Dina Pule had made the request to the board after reading a newspaper report on the process being followed to fill the position, said ministry spokesman Siyabulela Qoza. Qoza said he did not know if the SABC had acted on Pule’s request. Sapa was unable to reach SABC spokesman Kaiser Kganyago on Monday afternoon. The Sunday Independent reported that Hlaudi Motsoeneng, who was “an ANC deployee at the SABC” and a supporter of President Jacob Zuma, was set to get the job. The position, the second most powerful post at the organisation, had been advertised only internally and applicants given just three working days to apply, the newspaper reported. Motsoeneng was apparently going to receive the job despite not having a matric certificate or top management experience. SABC CEO Lulama Mokhobo reportedly said a matric certificate was not a requirement for the post. Qoza said Pule had also noted media reports on the settlement between the SA Post Office (Sapo) and its outgoing chief executive Motshoanetsi Lefoka. Last week, Sapo said it reached a “mutually agreed separation” from Lefoka, but declined to comment on the details of agreement.